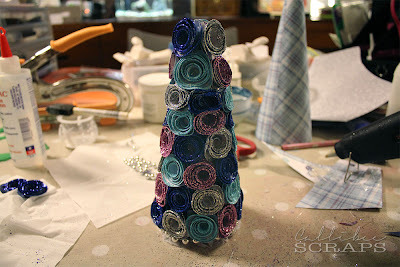 It's so easy to fall back on ready made ornaments and I must admit most of my decorations are store bought. 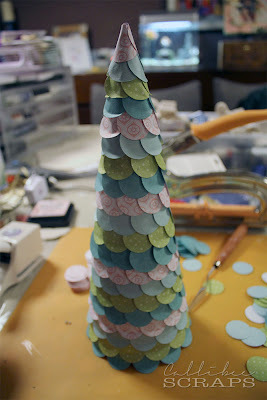 This year, I promised myself I would do more Christmas projects instead. Ironically, we won't be putting up a tree this year as we are off to England for the holidays, so I thought I'd do a couple of baby trees to put on my pseudo mantlepiece. With amazing foresight (something that usually eludes me), I bought two foam trees from Michaels when I was in New York last month and made two cute little trees. Now, you don't really need the cones. 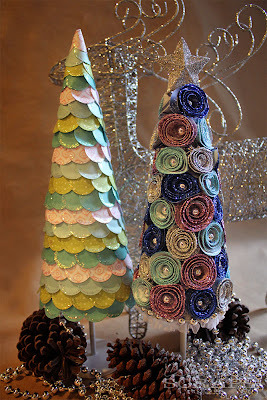 You could very easily make one out of just cardstock - roll it up into a cone shape and cut off the excess so it will stand up straight. 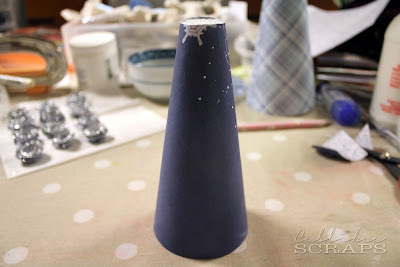 The good thing about the foam cone is, you have a solid base to work on and you can mount the cone on a stem. I used a simple tea light holder. I decided to make a tutorial for them, so here we go with a step-by-step. Holding each colour stack firmly between your thumb and forefinger, ink the edges in a corresponding colour. You can see the difference it makes on the left-hand stack. It's subtle, but it helps hide the white core of the paper. 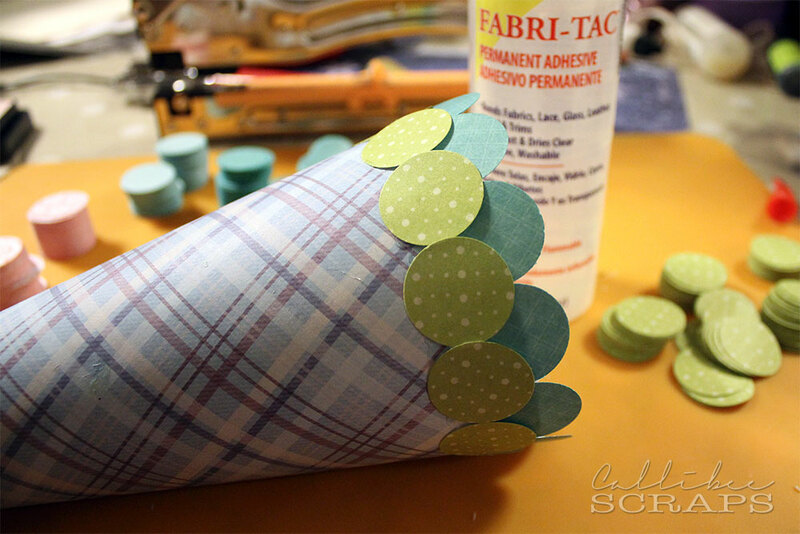 I papered my cone before adding my circles so they gripped better. Any paper will do as it will be covered. Spread a generous line of glue around the base of the cone and stick each circle on, one by one, leaving a semi-circle off the edge. 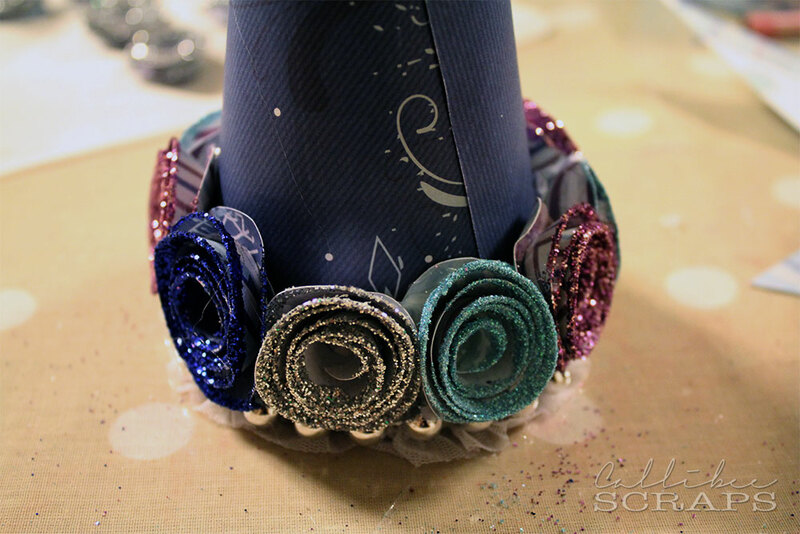 When doing this, use a strong wet glue that has a short setting time, yet malleable enough so you can maneuver the circles to space them evenly if you need to. 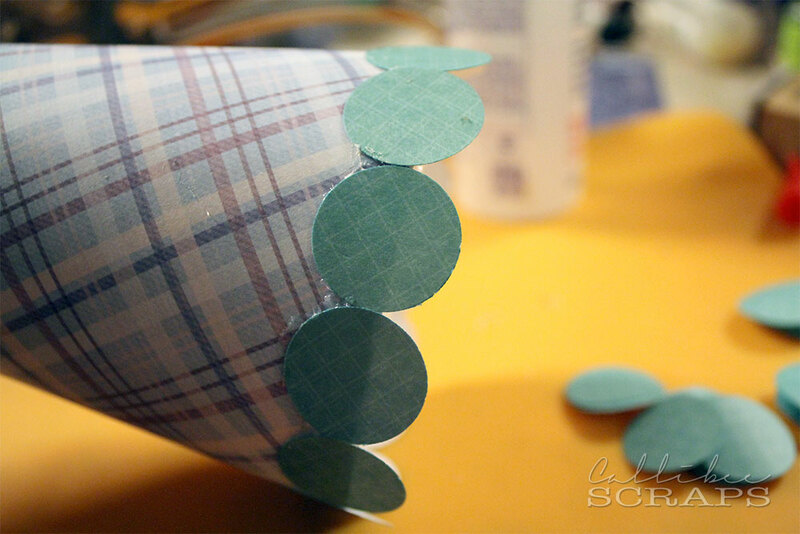 For the next layer, add a thick line of glue just above the first row of circles. 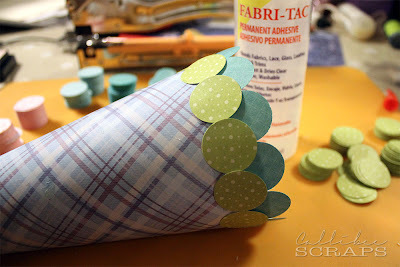 Do not place the glue on the circles themselves. 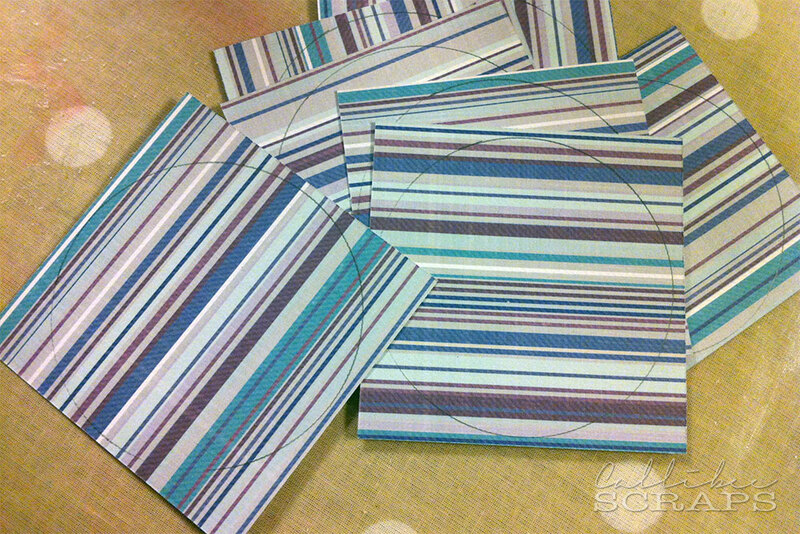 Place your second row of circles between the first row so they are staggered. Carry on with the third row and so on until you reach the top. You will have to reduce the number of circles per row so the scallops will look even. Here's the tree all scalloped up to the top. Once the glue is all dry, you can use your finger or a tool to slightly curl the "leaves" up a little so they stick out from the tree. 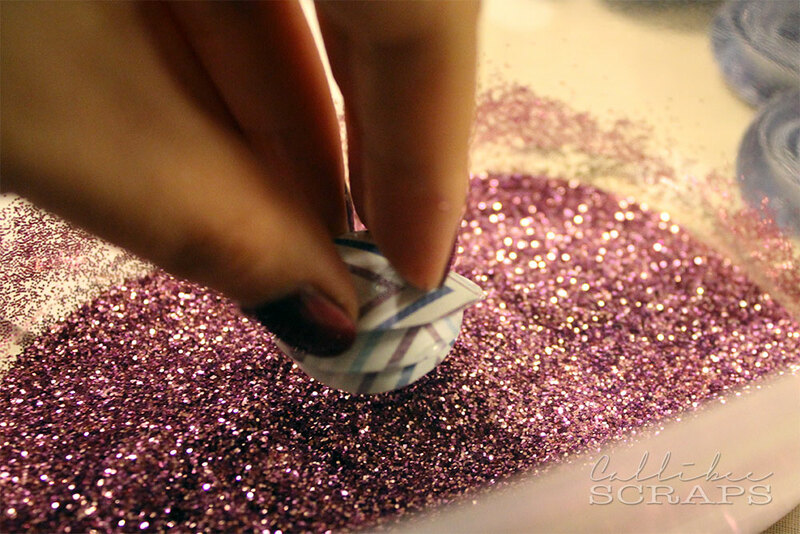 Add a line of glitter glue to the edge of each leaf to give it definition and shine. 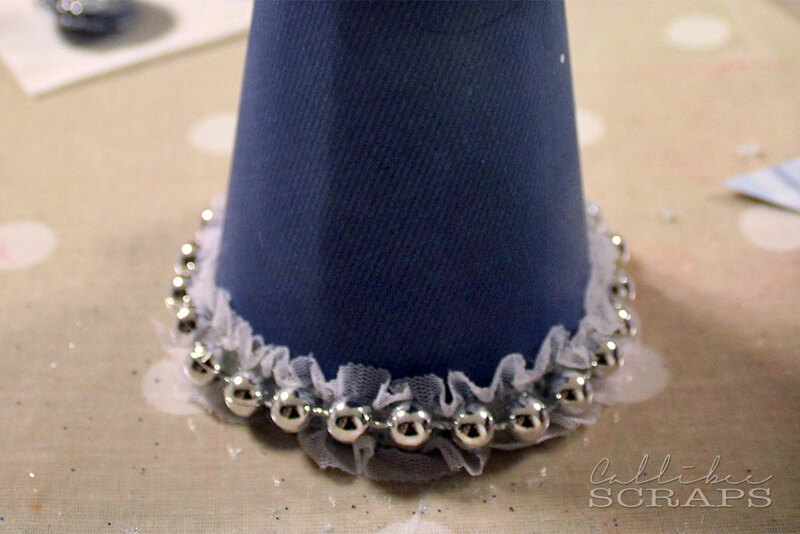 Mount your cone on a stand or a candlestick to finish. 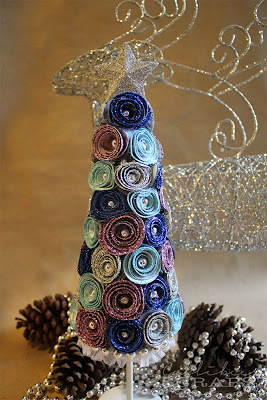 For the second tree, I did little spiral flowers instead. 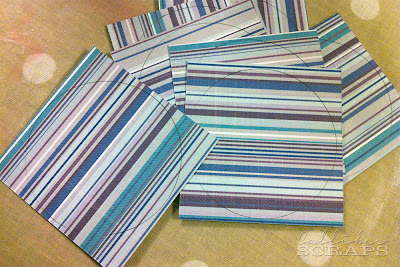 I chose four different patterned papers and cut them into 3" x 3" squares. 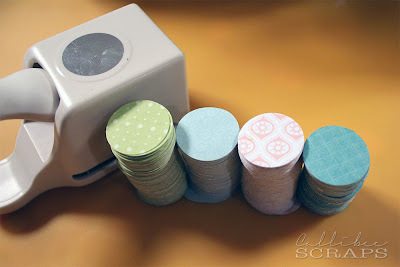 If you have a 3" circle punch, it will makes things easier. I don't, so I traced around a glass. 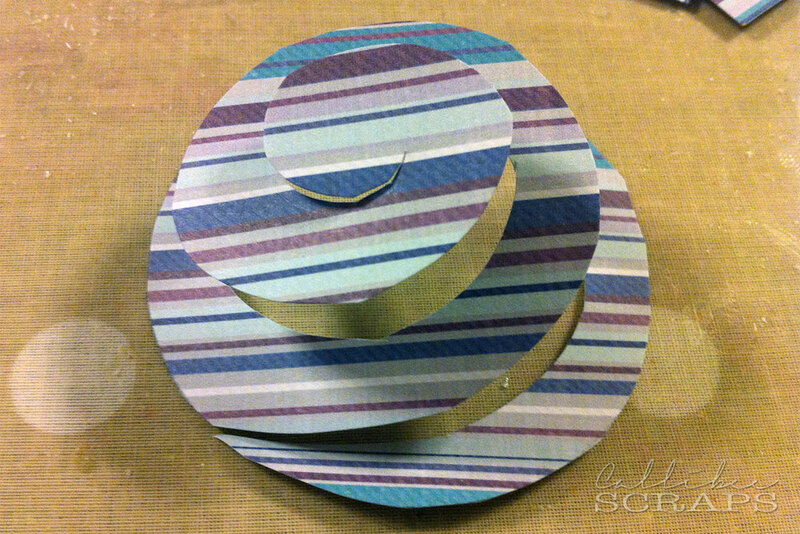 I then cut a spiral into the paper until I reached the centre. With the aid of a pencil or paintbrush handle, I curled the spiral from the outer end into the middle. This part is best done with hot glue. 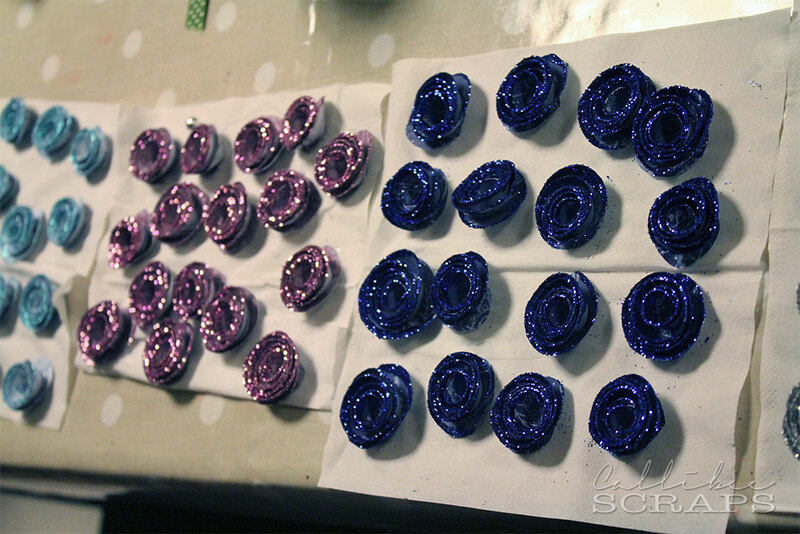 Squeeze a dollop on the centre of the florette and stick the bottom edges of the curled spiral down, making sure they are evenly spaced and tight. 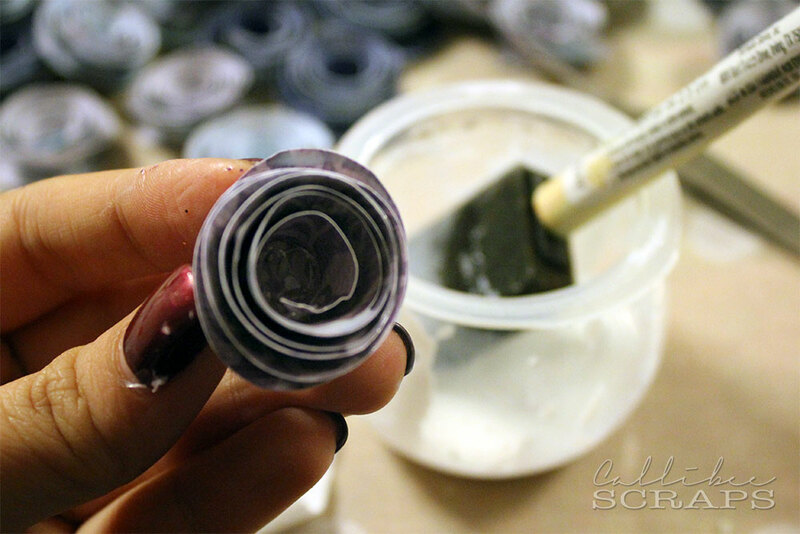 Once you have your flower intact, dip the top edges in some white glue. 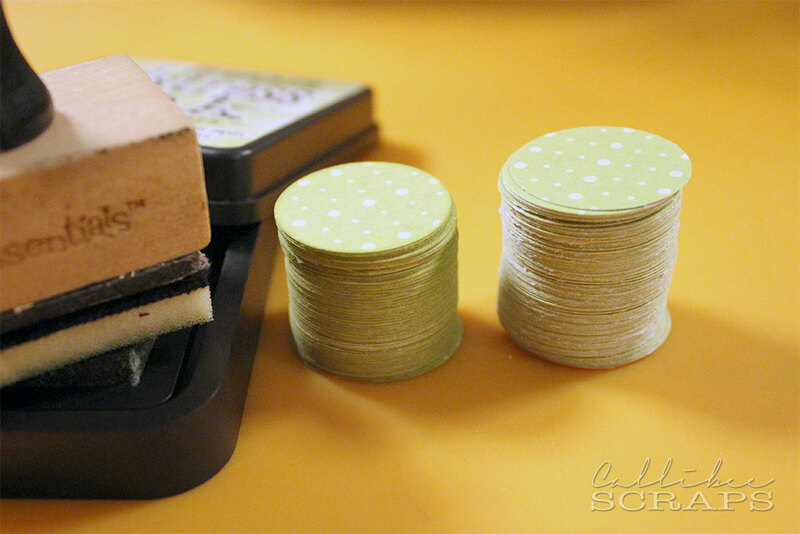 For better control, I used a foam brush to swipe the glue on the edges. Quickly dip the glue covered flower into matching glitter, tapping off the excess. Continue dipping all your flowers in glitter and allow them to dry before assembling. 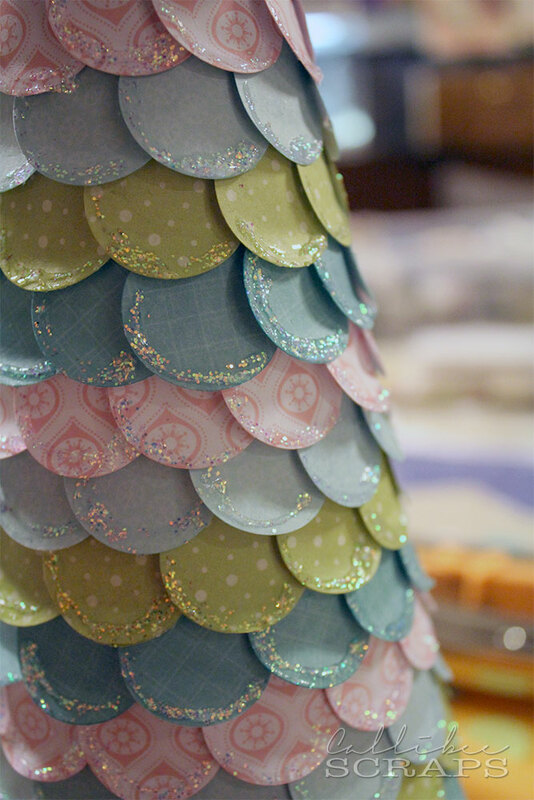 For the cone, I again papered it as there will be gaps between the florettes and you don't want the white foam core to show through. A dark coloured paper will make gaps look more unnoticeable. 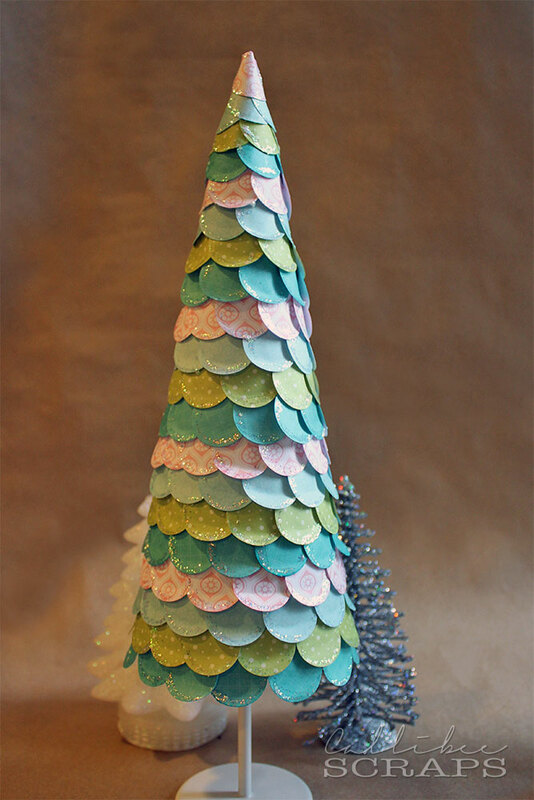 Again, if you don't have the foam core, you can create your cone with cardstock. I glued a circle of lace and silver beads around the bottom of the cone to disguise the edge. Starting just above the lace border, I hot glued the florettes next to each other as tightly as possible. 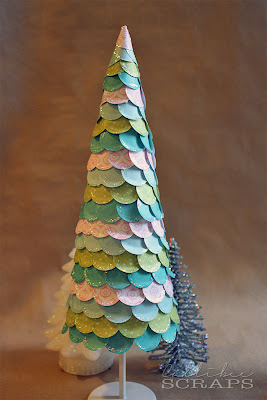 Keep glueing them down, staggering your colours around the cone, until you reach the top. 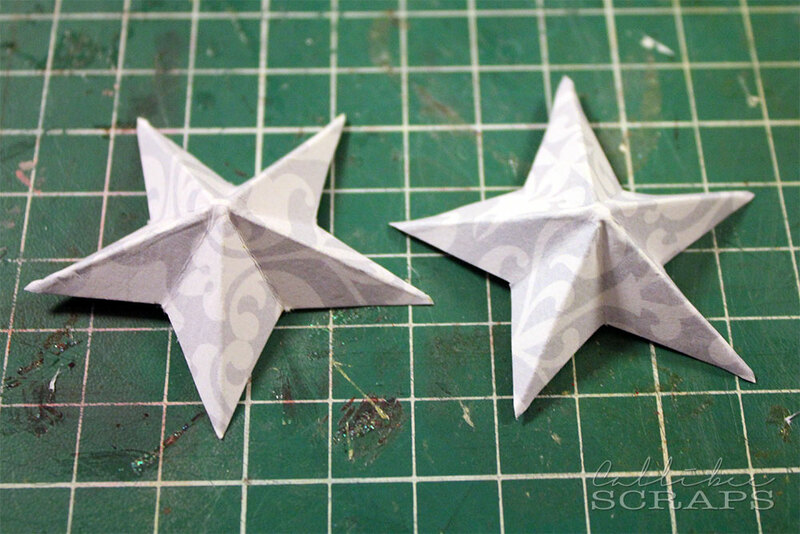 For the star, I traced and cut out two identical stars. I folded them so they would pop up, like the picture. 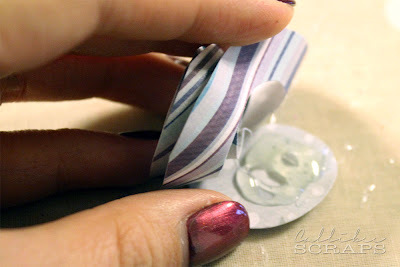 I then used a strong glue around the inside edges and stuck both sides together, like a clam. You will need to hold them together with your fingers until they set. 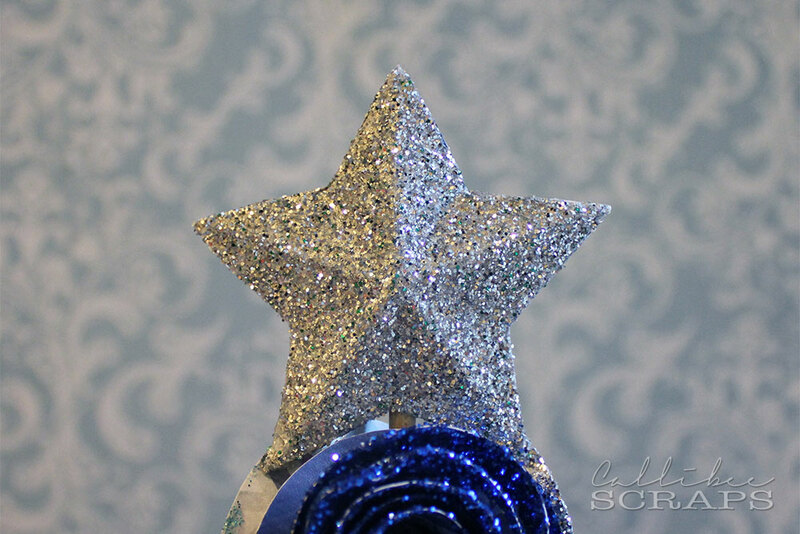 You can also stick a skewer into the bottom of your star if you want. I did this as I could then stick the star into the top of my tree. Sorry, I forgot to take pictures of this stage. I then spread glue on the whole star and covered it with silver glitter. Once it's dry, skewer it to the top of your tree. 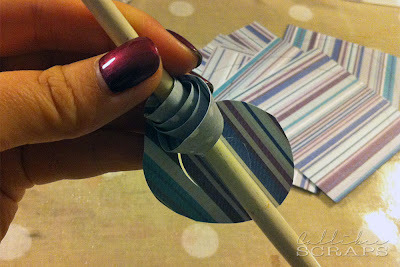 If you haven't used a skewer, you will need to hot glue it to the tree to stabilise it. I again stuck a stemmed candle holder to the bottom to elevate the cone. So there you are. Two different trees. 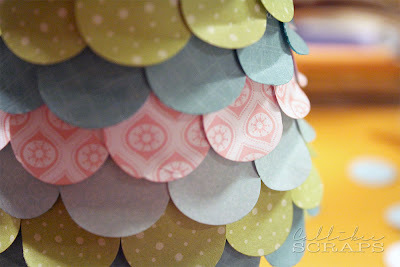 I love the contrast between the pastel coloured scallops and the bolder colours for the flowers. 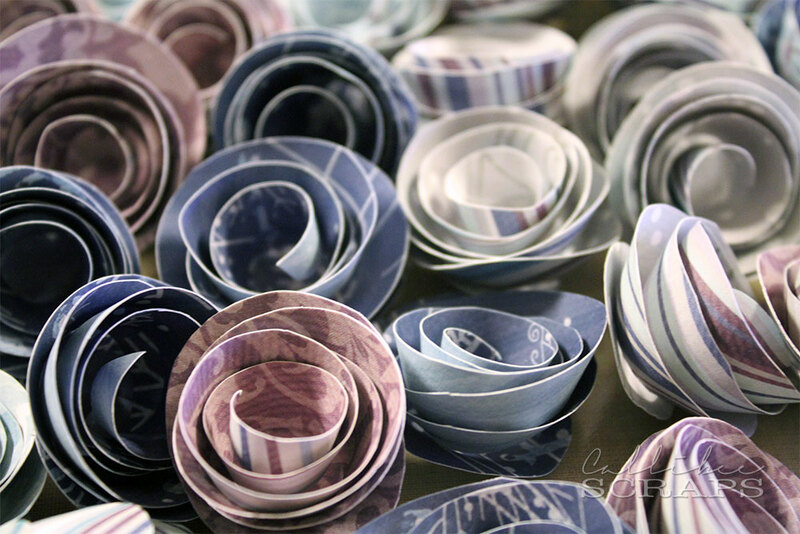 It is time consuming and repetitive, but the final result is quite stunning and well worth it. I would love to see what you come up with. This is a very nice one, Grace. thanks for the tutorial.